Pope Francis sends letter to Oklahoma governor Mary Fallin asking to stop Glossip's execution. 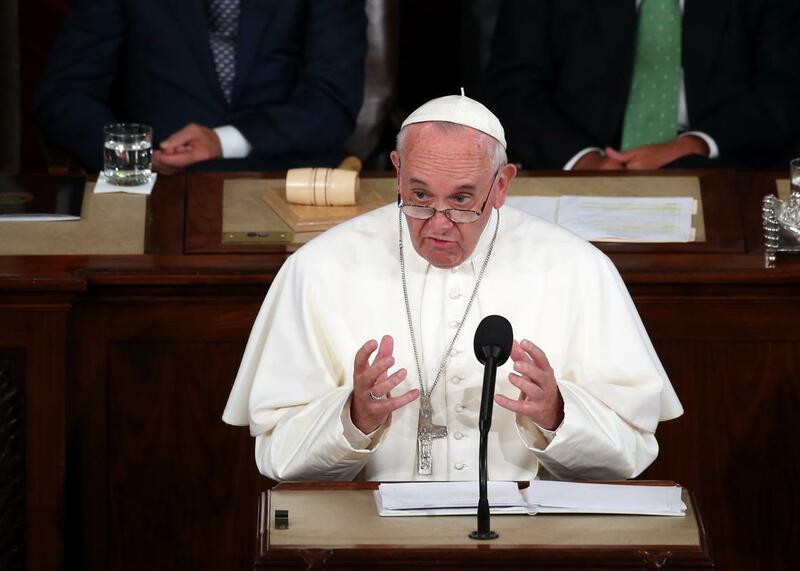 Pope Francis emphasized his opposition to capital punishment in his address to Congress on Sept. 24, 2015. Pope Francis has asked Oklahoma Gov. Mary Fallin to commute Richard Glossip’s death sentence. The request comes in a letter to Fallin, written on behalf of Pope Francis by Archbishop Carlo Maria Viganò, as attorneys for the death row prisoner make a last-minute appeal to the U.S. Supreme Court to halt his execution, scheduled for Wednesday afternoon. Glossip’s attorneys argue that he was improperly sentenced for the murder of motel owner Barry Van Treese and that more time is needed to review the case. The execution was recently delayed after revelations about key problems with the evidence against Glossip. On Tuesday, Viganò sent a similar letter the Georgia State Board of Pardons and Parolees asking that Kelly Gissendaner, the only woman on Georgia’s death row, not be executed. Despite the plea, Gissendaner died by lethal injection at 12:12 a.m. Wednesday. A spokeswoman for Fallin told Oklahoma local news that Fallin does not have the legal authority to move the execution. Gov. Fallin has also said she does not intend to stay Glossip’s execution. It remains unclear whether the Supreme Court justices will consider the most recent appeal from Glossip’s attorneys.